2448 Springtime Blooms is designed with amazing artisan lampwork floral beads. 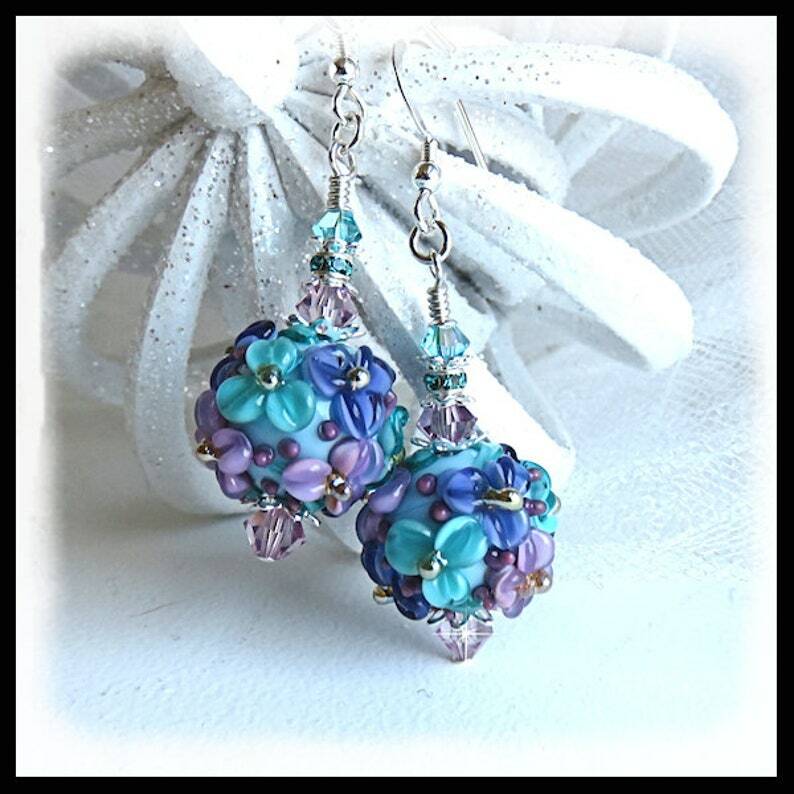 The lavender, rose and teal flower beads are accented with Violet and Blue Zircon Swarovski crystals set between sterling silver bead caps. The silver plated Blue Zircon Swarovski rondelles add a bit of sparkle to the set. The earrings hang from sterling silver earwires.